PLDT wireless unit Smart Communications and its technology partner Ericsson have teamed up to further bring 5G closer to more stakeholders, particularly to PLDT and Smart employees, members of the academe, and IT and engineering students, through a 5G Technofest meant to showcase the different possibilities of 5G. “Everybody knows 5G is coming. Some say next year, some say later. With this demonstration, we want to give you a flavor of what 5G could be,” said PLDT chief technology and information advisor Joachim Horn, speaking to a crowd of Smart and PLDT employees gathered at the Technofest launch. “More than getting the network ready for 5G, it is also important for the workforce to be ready for it as well,” he added. “Technology has an impact in curriculum development and content. The introduction of 5G will challenge professors to keep their curriculum and learning objectives updated,” he added. Batangas State University faculty Janice Peralta also believes in empowering today’s engineering students, as they are the workforce of the future. “Activities like this are a good way of addressing the gap between the industry and the academe. With this, we are able to know what the current trends are based on the companies. In turn, we can share this with our students, so they can be ready when they graduate from our university,” said Peralta. 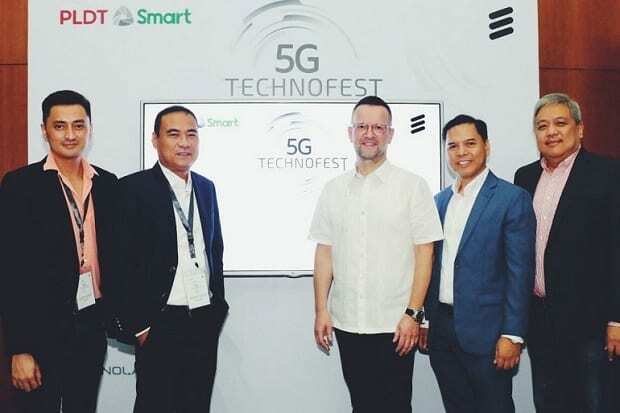 The Technofest is part of Smart and Ericsson’s joint 5G efforts, which was launched in August, when the two companies signed a Memorandum of Understanding (MoU) to deploy the country’s first 5G pilot network by the first half of 2019.